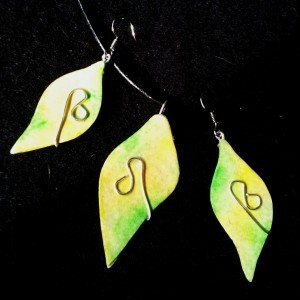 Unique and beautiful watercolour jewellery set in a leaf designs. 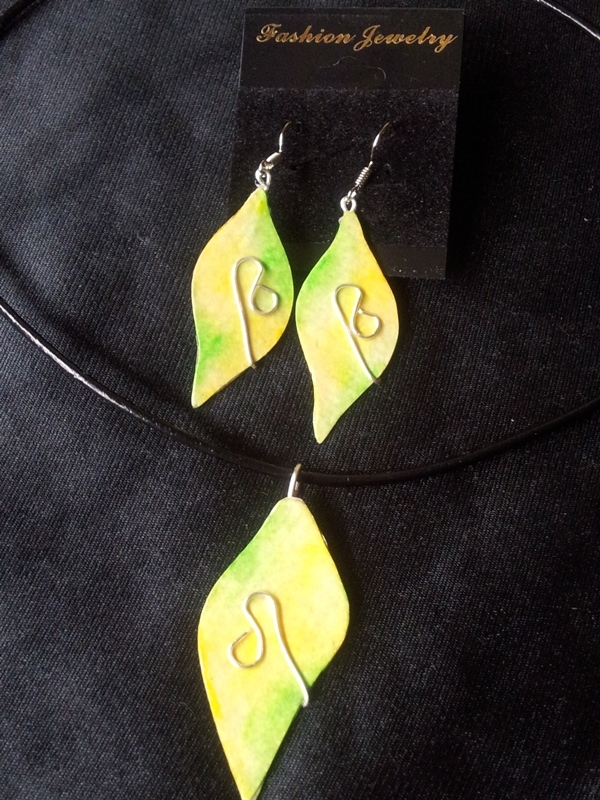 Inspired by the Australian Gum Leaf, using yellows and greens blended together. Finished with layers of varnish to bring out the colour and for durability. 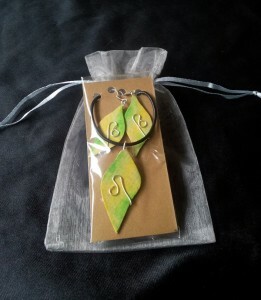 Set on a 41cm Leather necklace. 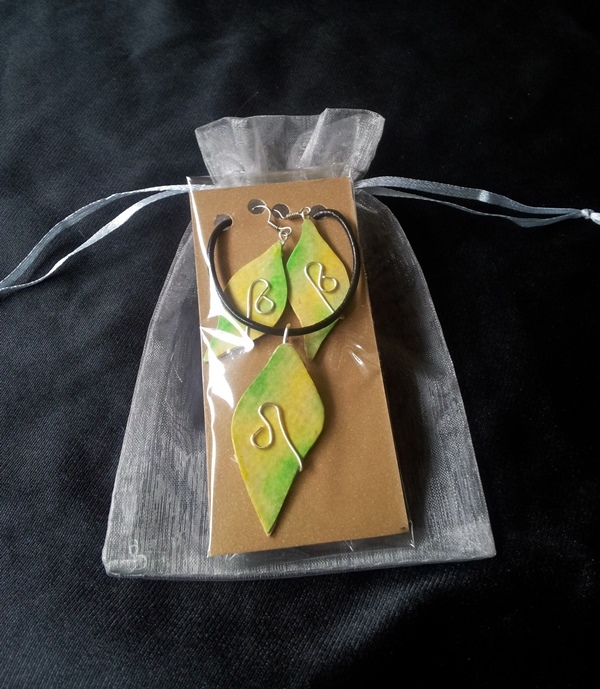 Earrings on sterling silver ear wires.